Over the years, solo female travel has been steadily on the rise and is showing no signs of stopping. While some might be a little daunted at first to go on a trip alone, solo travel can be extremely rewarding by helping women achieve greater introspection and self-growth while being on the road. With full focus on the individual’s preferences on travel schedules and activities, solo traveling is truly an adventure that every girl should embark on. In conjunction with International Women’s Day, WorldHotels, a global brand representing over 300 of the finest independent hotels around the world, has proposed a select list of destinations that are ideal for solo female travelers – with the promise of overcoming fears, gaining self-confidence and creating unique, unforgettable memories. When it comes to wine-making, New Zealand has a high reputation and for good reasons too. The country is critically acclaimed to be the home of the world’s best Sauvignon Blanc since the 1980s when its wineries began producing outstanding Sauvignon Blanc that critics deemed to be unforgettable – so don’t leave without trying a bottle or two. Go on a delicious adventure to visit some of the best wineries at Waiheke Island, which is accessible via ferry from Half Moon Bay in Auckland. Indulge in the wines and perhaps gain some new friends from across the globe – unexpected discoveries are one of the thrills to solo travel. Come home to the Stamford Plaza Auckland, which is within easy walking distance of the Waitemata harbour area and situated close to Auckland’s best restaurants and nightlife spots. Insider tip: Ladies who are weary from the day’s exploration can also unwind at the hotel’s indoor heated swimming pool, whirlpool spa, sauna and fully equipped gymnasium. Hailed to be one of the big four “Fashion Capitals” in the world, the Big Apple holds great influence over international fashion trends and is widely recognised as the mecca for fashion events and trade fairs, New York even has a “Garment District” in midtown Manhattan, where the city’s fashion supplies stores are located at. Fashionistas who have long dreamed to create their own designs should head down to fabric shop Mood Fabrics, made world-famous by reality TV show Project Runway. Pick up some designer fabrics and sewing materials for upcoming fashion projects, get inspirational tips from its staff and be sure to give some pats to the shop’s friendly resident Boston terrier Swatch too! The store also organises frequent workshops for those looking to pick up a new skill. Stay near all the magic at Sanctuary Hotel New York, it is just a short walk away from Garment District. 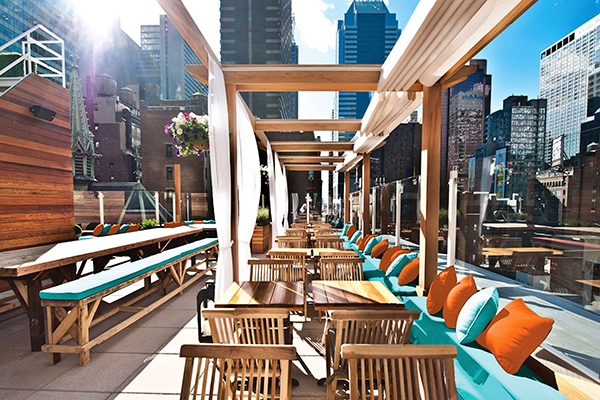 Equipped with 113 comfortable rooms, guests can also check out the hotel’s chic rooftop bar, which boasts stunning views of Manhattan and offers guests tasty bites and craft cocktails. Insider tip: Experience hospitality like no other as the hotel is known for its special S.T.A.R. programme that dedicates a private concierge to each guest, which could offer ladies with additional help such as arranging for exclusive travel experiences! Japan is known to be a country that prides itself on its safety and orderliness, and locals have been known to be extremely helpful to non-English speaking tourists. There is plenty to do and see in Tokyo, the capital city of Japan, but one must-try experience is a kimono fitting session. Renowned for its exquisite beauty as one of the country’s strongest cultural symbols, it is a quintessential Japan experience and a real treat to try on! Complete it with an elaborate tea ceremony, which includes learning how to prepare matcha green tea traditionally and tasting delicate Japanese sweets after. If time permits, take the opportunity to visit Meiji Jingu, Tokyo’s most visited shrine dedicated to the Emperor Meiji and the Empress Shoken in 1920. 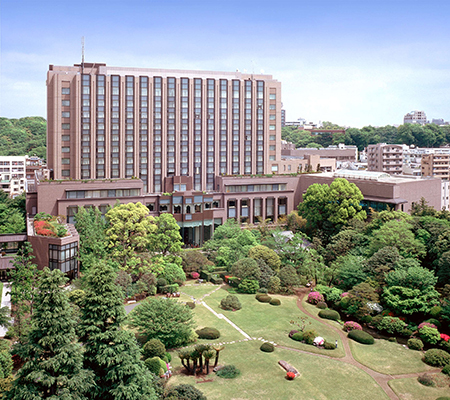 After a day of immersing in the local cultural experience, relax in one of the 128 rooms at RIHGA Royal Hotel Tokyo. Ladies will be pleased to know that each room offers thoughtful female essentials such as skincare products, elastic hair ties and razors – just one of the ways that the hotel extends its hospitality to welcome women travelers. Insider tip: The hotel also offers a smartphone in every room offering complimentary internet access, domestic calls and a city guide for easy solo navigation around the city. Those looking to reconnect with their inner child should make a trip to Copenhagen, a thriving city in Scandinavian Europe. While the Tivoli Gardens is probably the most famous amusement park in the Danish capital, kick things up a notch and take a short 20-minute train ride up north from the city center to Dyrehavsbakken (in short Bakken), the world’s oldest operating amusement park. While its origins trace back to a humble natural spring popular among locals back in 1583, Bakken is now home to a large variety of carnival games, thrill rides and entertainment options for all ages. Brave souls must conquer the most famous (and oldest) ride there of all – the Rutschebanen, a wooden roller coaster that is opened since 1932. After an incredible day of fun and games, seek respite at one of the 679 comfortable rooms at the Tivoli Hotel and Congress Center, which is conveniently located in downtown Copenhagen. 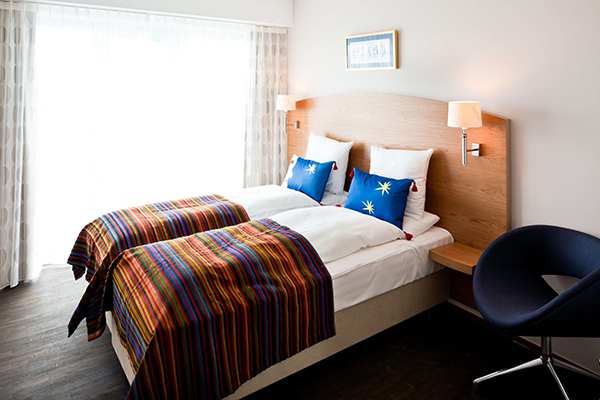 Just a 10-minute walk away from the Copenhagen Central train station, the hotel provides easy access to the main city attractions and is close to the airport. Insider tip: Ladies who are susceptible to allergic reactions can opt for the allergy-friendly rooms at Tivoli Hotel and Congress Centre, which feature a no-smoking rule, wooden floorings and hypoallergenic bedding materials. No list of countries suitable for solo traveling is complete without the inclusion of sunny Singapore! The little red dot is well known for its low rate crime, extensive public transport system and cleanliness. While many may flock to popular attractions such as the Merlion, Esplanade and the Orchard Road shopping belt, consider exploring the “greener” side of the city-state at the Singapore Botanic Gardens, a tropical haven where over 60,000 orchids reside, or spend a lovely evening at Gardens By The Bay and catch a mesmerising light and sound show featuring the iconic Supertrees. End the day at Dorsett Singapore, located just a 5 minute-drive away from Gardens by the Bay. The hotel is also right above Outram Park subway station, making it convenient for guests to sightsee around Singapore. Insider tip: Ladies who fancy an evening drink around the hotel will be pleased to know that they are surrounded by rows of preserved shop houses with trendy bars, restaurants and famous local eateries. In fact, the world’s cheapest Michelin-star meal at Liao Fan Hong Kong Soya Sauce Chicken Rice & Noodle is just a 5-minute walk away! 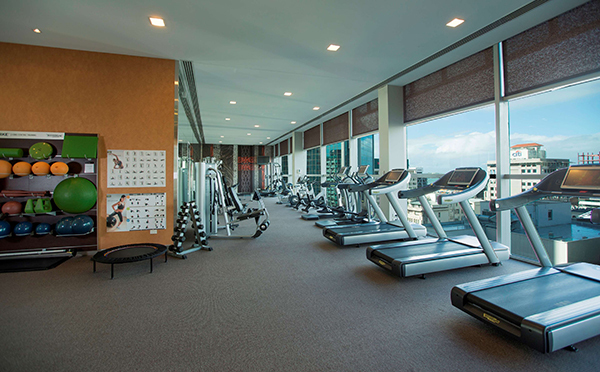 So kickstart an exhilarating journey at http://www.worldhotels.com. Next articleSchool’s Out and Fun’s in With Upin and Ipin!